Google has completed its 15 years and still maintaining the #1 in search engines due to its value and on time updates. The main motive of Google is to provide a better experience to the searcher for every new update. And to give good rank to the websites, who believe in fresh and valuable contents. These updates also give a fair opportunity to websites, who don’t try to cheat Google by breaking Google guidelines. There are 100’s of updates till from the starting of Google, but here we will discuss three main updates which are Panda, Penguin and Hummingbird updates and SEO Strategies to recover from these Updates. Panda update was first launched on 24 February in the year 2011. It was also known as ‘Farmer Update’ in the USA. Panda had over 24 updates till March 2013. Panda updates are planned to provide a superior ranking for the websites which are offering fresh and original content. Hence the websites of research, news, and thoughtful analysis etc. have a great possibility to get excellent ranking on Google index. On the other hand, websites, which are using copy or little original contents, may see a fall in Google rank. Panda updates do not affect a single page; it penalizes your entire website. So make sure that all pages should be fresh and stuffed with high-quality content. Otherwise, the panda has a good chance to diminish your website ranking. Before starting SEO keep in mind that if you follow the update rules, you can get very good results in very less time. Panda updates are all about on-site SEO. Hence we do all changes on the website. There is not any other way to get a good rank, without removing the copied or duplicate from the website and replacing them with fresh and pure contents. No one likes broken links because on clicking it wastes the user’s time. So this update is also focusing on this problem and penalizes those websites which have more broken links. Hence in SEO, we need to remove these broken links using various tools. Don’t over optimize your website, Panda does not like this. There is a difference between effective on-page SEO and over-optimization SEO. Hence don’t concentrate on complex SEO techniques that are used to boost your site rankings. The center of attention should be on the quality of your website contents. Write content for people first and search engines second. The Google Penguin Update was launched on April 24, 2012. The Penguin #4 (aka Penguin 2.1) was its 5th update, launched on October 4th, 2013. With the increasing popularity of Google, SEO’S have developed some techniques that can be used to manipulate the websites ranking, as a result low-quality sites are getting good ranks on Google for specific queries. For this reason, it is necessary to block those websites that are using Black Hat techniques; because of these websites, users were unable to get their desired results. 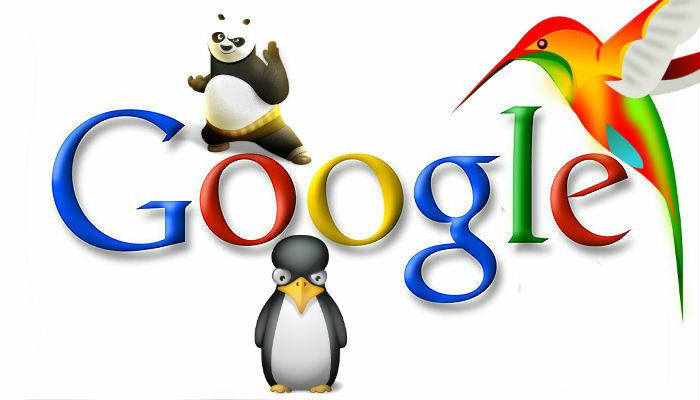 Therefore the main intention of Google Penguin updates is to decrease rankings of those websites which go against Google’s Webmaster Guidelines and use black-hat SEO techniques. Penguin basically works to diminish web spam and encourage high-quality contents. Hence this update gives high ranking to the websites that are jam-packed with fresh content and only use white-hat techniques for off-site SEO. Google Penguin Updates definitely penalize your website if you are using too much link building, bridge pages, keyword stuffing, and duplicate or pointless contents. So before making any strategies against Penguin update, you have to work on these things. For Penguin updates recovery you mainly need to work on off-page SEO techniques. You must avoid using Black hat SEO techniques because you can’t make Penguin updates fool. And as a result, you can find a drop in ranking of your website. Over usage of exact-match anchor text is dangerous for your website, hence keep different anchor texts. For example, if too much exact-match anchor text is a backlink to your website page (like the home page) then your home page will be penalized by updates. Guest blogging has always been a legal and a great way to generate backlinks. But if you are posting your blogs on the low-quality website to generate backlinks then there is big chance that Penguin will decrease your rank. Connect your site with more and more social media website, and especially with Google Plus! If your domain name is an exact match with your keyword, for example, your keyword is “make money” and your domain name is “www.makemoney.com”, and you have a really high percentage of your links with the anchor text of that keyword, then you are at a high risk of getting penalized by Penguin. Remove the Links from the dangerous website which having some Spammy issues. Try to remove as many bad links as you can, and disavow the other ones by using Google’s disavow tool. Again the last and the most important are the content of the website. The main focus of this update is also to give advantages to the fresh contents. So if you are generating the fresh and best links there is a better chance to get good ranking. On September 26, 2013, Google celebrated its 15th birthday and at that event, they launched a new algorithm name “Hummingbird”. Why they choose the name ‘’Hummingbird”? This is because the algorithm has the exactitude and speed like a humming bird. It is the biggest change ever made by the Google from 2001 and it will affect 90% of the worldwide queries. The main purpose of this update is that now Google search can interact with searcher on more humanly basis and can provide a direct answer to their queries. With this update, Google search is able to better answer to the long tail queries. With the increase of mobile usage in daily life, most of the searches are done by using voice recognition. Hence “Hummingbird” Google approaches to process “real” speech patterns. It is just a starting for processing conversational queries. And in the coming time, Google search will become more live and intelligent. Hummingbird update is like putting a new engine in your old car. It just changes the way of searching. First, it was “what is the rank of your website for a particular query or keyword”. But now it is “Are you providing the best answer for the particular query”. Hence websites which are providing the best answer for a searcher’s particular query will definitely get some edge on another website. If you have an Original and high-quality content pages then there are more chances for your website to offer more opportunities to answer search engine queries. Instead of using head keyword use long tail keywords. Then there are better chances to come up. Google like Google. Hence use those things which provide Google free of cost like Google+. You tubes Videos are still sizzling and appealing answers to their questions. Add more pages like FAQ page, Q&A blog category, Interviews, Researchers, Industry debates, ask the expert. That can give the best answer to the user’s queries. Infographics draw is a great way to answer search engine queries in a creative and attractive manner. So try to focus on making valuable infographics.